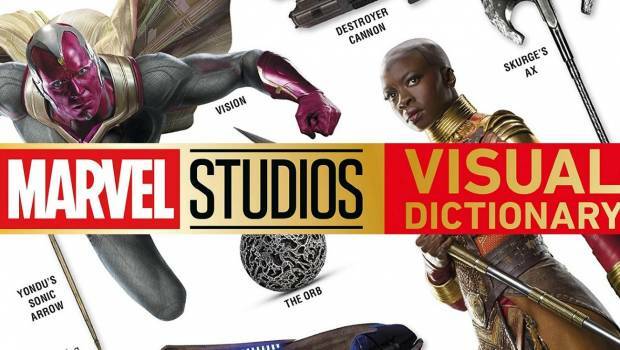 Summary: The Marvel Studios Visual Dictionary is true visual perfection and a true celebration of 10-years of the MCU! 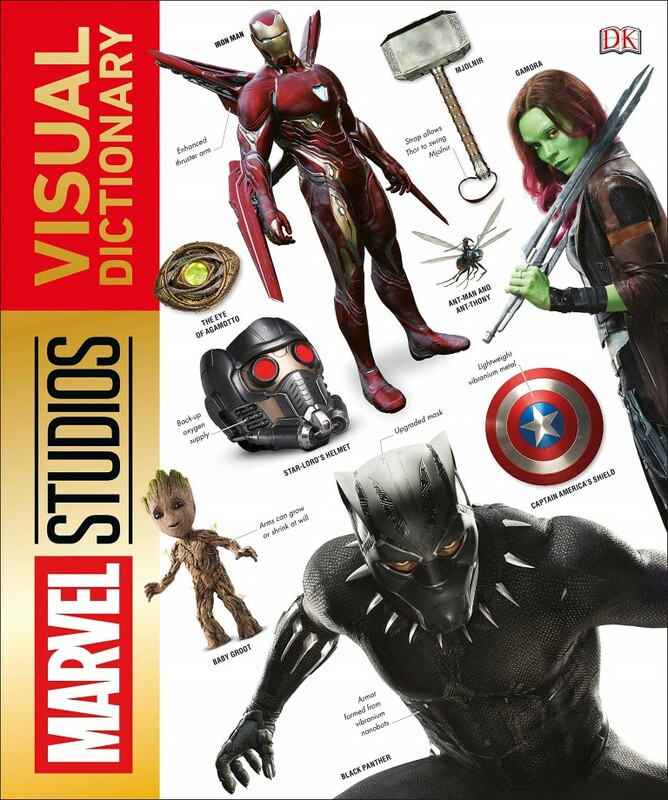 If you’re a fan of the superhero films from Marvel Studios, then DK’s new hardcover book, Marvel Studios Visual Dictionary is a must have title. 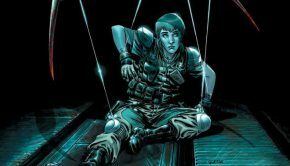 Written by superhero scholar Adam Bray and with some visually impressive stills from the movies, he and the team of DK successfully collects all the Marvel Studios films from Iron Man (2008), all the way up until Avengers: Infinity War (2018) that makes the perfect guide for character bios, costumes, locations, vehicles, equipment and supporting cast… in other words, it’s a true Marvel Cinematic Universe (MCU) bible! 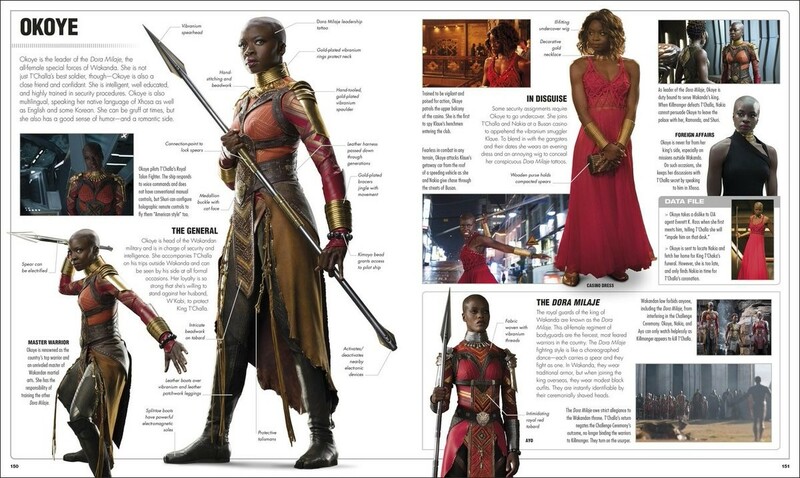 At 200-pages in length, Marvel Studios Visual Dictionary is split into seven main sections that include Captain America, Iron Man, Thor, The Avengers, Ant-Man, Black Panther, Doctor Strange and Guardians of the Galaxy. Adding to the presentation is a foreword by Victoria Alonso (Executive Vice President of Physical Production, Marvel Studios), an Introduction that discusses the cohesive nature of 10-years of MCU movies which led to Infinity War plus an Index and Acknowledgements section. 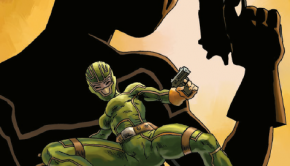 Although the images are the stars of this book, writer Adam Bray gives the reader a great history lesson on the films and the origins of these superheroes such as the wiry Steve Rogers who signed up to become a super-soldier or how kind-hearted criminal Scott Lang stole the technology from Dr Hank Pym to become Ant-Man. The book even highlights the equipment of these heroes such as Doctor Strange’s amulet the Eye of Agamotto to his cloak of levitation which really adds some context. Add in the villains of the MCU such as the relatively grounded Whiplash who took on Iron Man to the most dangerous being in existence, the Mad Titan Thanos and Marvel Studios Visual Dictionary makes for a perfect read. 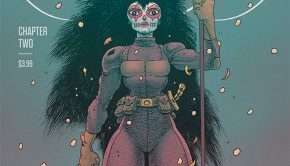 I also like how this hardcover focuses on the supporting cast of the MCU like Lady Sif who is one of Asgard’s greatest warriors which gives the reader a great insight into her history, including her armour and weapons. 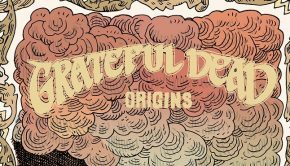 Of course, this book wouldn’t be what it is without a guide to the Infinity Stones and what each of these six singularities represent and how it gave Thanos the powers needed to control and rebuild the universe. 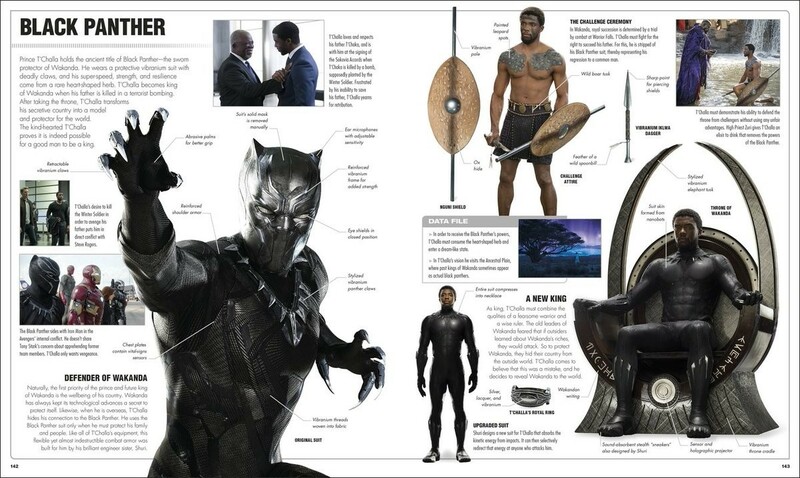 There’s also a great section on the characters from the Black Panther (2018) film with some stunning visuals to help bring you back to Wakanda. 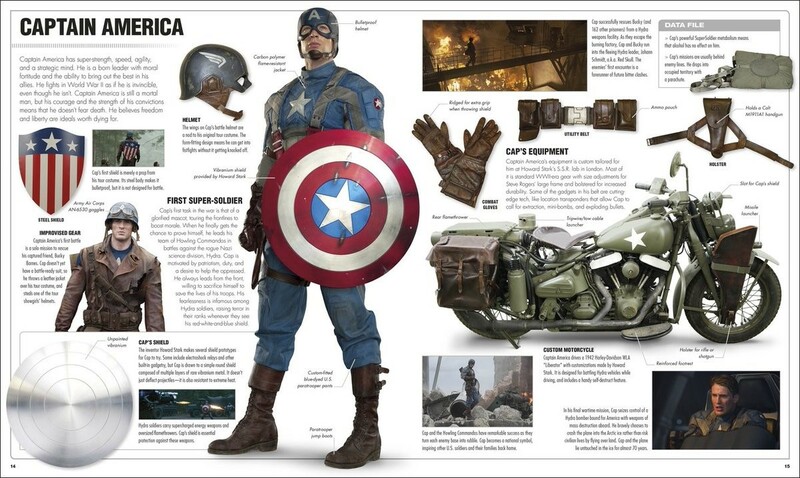 Marvel Studios Visual Dictionary is a beautifully presented book from DK that is a true celebration of the MCU films. More importantly, it captures the essence from these movies, especially the characters and stories which has made this superhero franchise one of the most popular (and profitable) in cinematic history… but more importantly, it’s an enjoyable read from start to finish that is accompanied by some beautiful visuals from the films which is why Marvel Studios Visual Dictionary is a must have book.